Hi there! I’m Michael from over at Misadventures with Michael and am amped to get to write for Jessica on Diverting Journeys. For a little background, I’m a university student in the US but am currently studying in Bologna, Italy for the semester. Before I made it to Il bel paese, I made a pit stop in Spain and traveled around there for a little bit. One of my favorite cities was Seville. It seems to me the city that people imagine when they dream of Spain. In the city there’s a strong tradition of bullfighting, so, naturally, there’s a great museum on its history here, the Real Plaza de Los Toros. While assembling a tapas lunch at Bodega Morales nearby Seville’s Cathedral, I consulted with my trusted city map and saw that the museum wasn’t too far. It wasn’t the highest on my to-see list for the city, but I figured that if I was close I may as well check it out. To visit, you must go on a guided tour: they leave every twenty minutes and are bilingual with the guide speaking both English and Spanish at each stop. Tickets are seven euros (but make sure to bring your student ID for a discount). 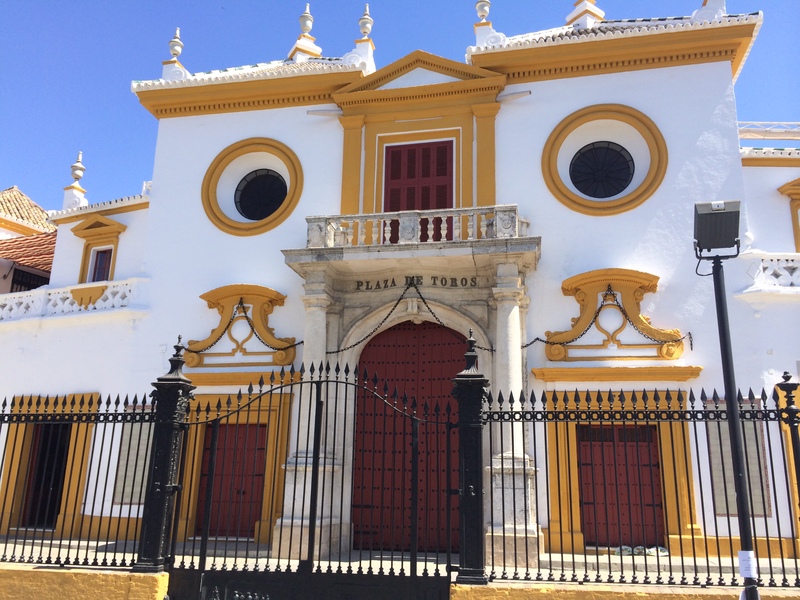 First, the guide brings you out to the bullring, showing you where Seville’s bullfights take place May through September, though with a break in August. Spain’s biggest bullring is in Madrid, but the one in Seville is also particularly famous and beautiful. While you can’t step onto the bullring itself, the guide allows you to climb up the bleachers under the king’s seat to get a good view of the whole arena. 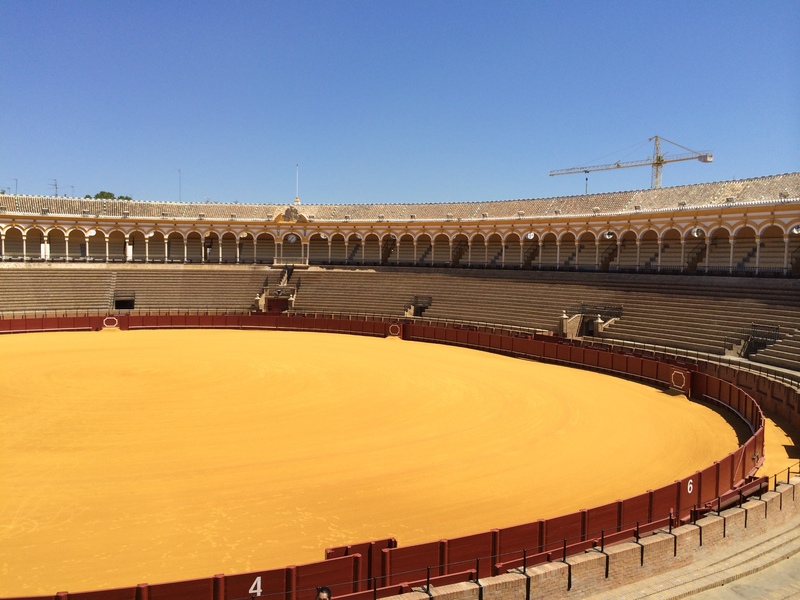 It’s pretty impressive, especially if you’ve never been to a bullring before (like me) and have studied Spain and bulls before. 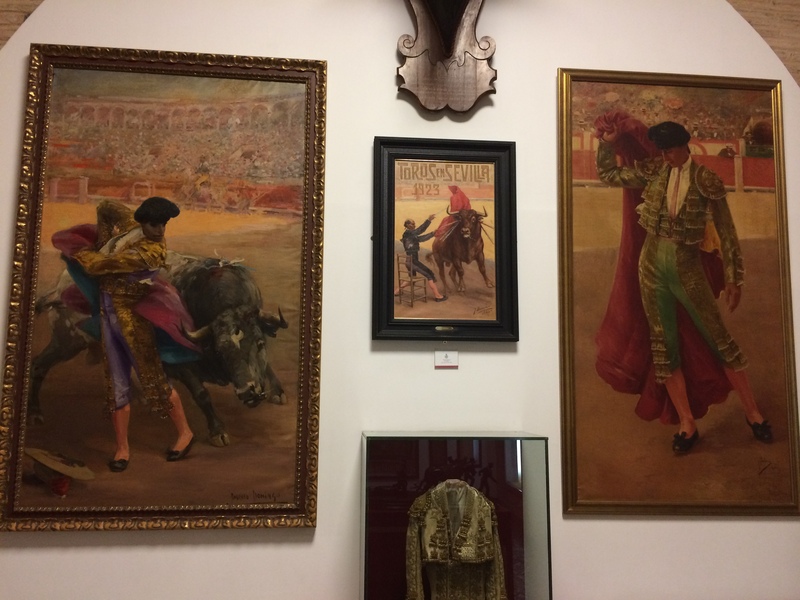 The guide brings you inside next and shows you some art related to and inspired by bullfighting. 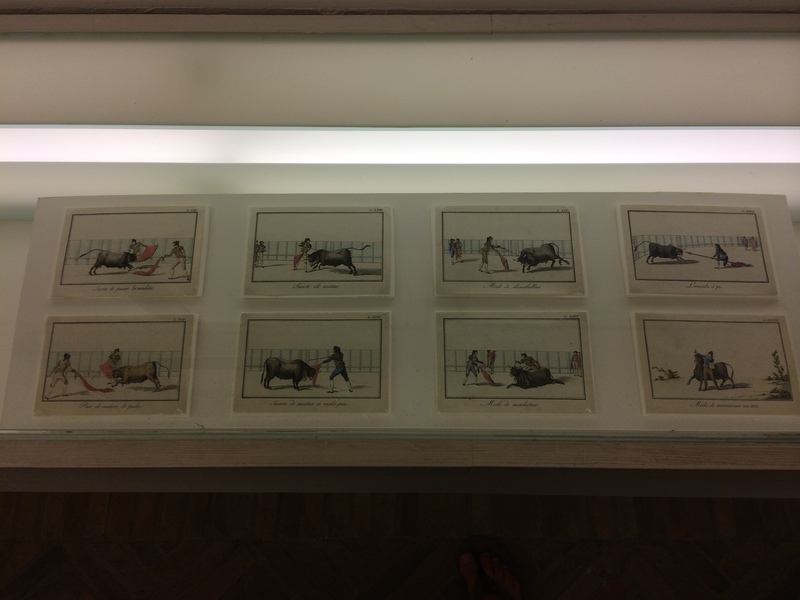 I particularly liked some old pictures demonstrating the arte de torear, or the art of bullfighting. They have the feel of one of those old school textbooks walking you through how to complete a task, although I think bullfighting may be just slightly more intense and dangerous than how to conjugate Italian verbs. The pictures there are pretty cool, and once you’re done the guide then shows you the last main exhibit with many more artifacts that pertain to bullfighting. Dummy human heads hang from the walls, and these are apparently used in training bullfighters. In the room with the different toreros’ trajes de luces (or suit of lights), my guide explained that toreros were not actually seen as heroic, romantic figures until the twentieth century. Before then, I believe she said, the picadors who are mounted on horses were considered more heroic and honorable figures. But as certain personalities and famous matadors emerged, the toreros or matadors became the most famous.